When Ricky Skaggs and Kentucky Thunder hit the stage, you can be sure every instrument in the string family is going to get a stress test worthy of a fighter jet. From Jeff Picker’s towering double bass to the delicate staccato picking on Skaggs’ tiny mandolin, the six piece outfit played textures ranging from Mumford and Sons power jams to delicate staccato picks on Skaggs’ delicate mandolin. The band was a blazing display of technical perfection and Skaggs stepped of the spotlight many times to let the musicians have their day. When guitarists Paul Brewster and Jake Workman weren’t proving themselves crucial in three-part harmony as on the Bill Monroe cover, “uncle Pen”, they took lead vocal multiple occasions. They opened with his own “Heartbroke” from 1982’s “Highways and Heartaches” .An issue with bluegrass as a niche genre is that to be truly appreciated, one must have some knowledge to appreciate it, A neophyte may not have interpreted the Russ Carson’s blazing banjo as frenetic cand even tedious times. Skaggs tipped his hat his hat many times to the greats like Bill Monroe and Earl Scruggs in a set full of covers. Monroe once called a six-year-old Skaggs up on stage during a performance and placed his mandolin around Skaggs’ small neck making sure to adjust it. Rolling Stone magazine has often been accused of ignoring the bluegrass genre. However, in their archives Skaggs has been cited over 20 times in the last 40 years. 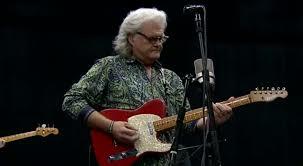 Over that time period, Skaggs garnered 15 Grammys, 11 Billboard No. 1 singles and 11 No. 1 albums. Clearly, he is hard to miss and his live shows will reveal his true talent as well as his ability to choose musicians that are so capable, one would be hard pressed to choose a favorite.